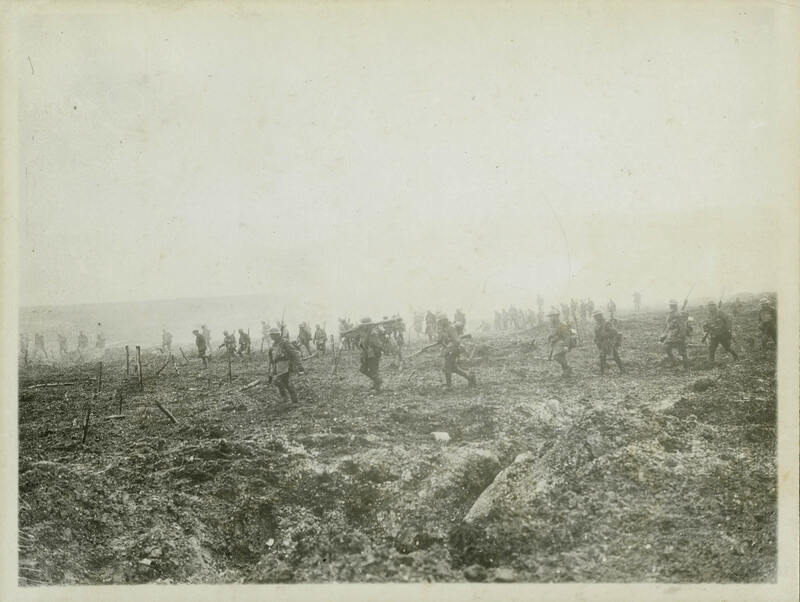 An official photograph of the 29th Battalion advancing over No Man's Land during the Battle of Vimy Ridge. Few photographers accompanied assaulting infantry or were in the front lines during combat. For those who did witness fighting, it was never easy to photograph the event through smoke and explosions while also trying to stay alive.